The RSMI National Lead Pastor is one of the most vital ministry positions in Risen Scepter Ministries International. Under the National Director the National Lead Pastor is responsible to oversee the unity of the ministry in his/her individual country. They are also required to safeguard and protect the name of God, the name of the ministry, and how biblical doctrine is taught through our pastors and teachers. What Qualifies a Person to be a RSMI National Lead Pastor? Ministry maturity – administrational ability – and a firm grasp of RSMI vision and mission are the primary qualifications for an RSMI National Lead Pastor. Additionally it is required that they have been born and raised within the culture of their particular country. For the RSMI National Lead Pastor to perform their duties which includes travel, Pastor’s Orientation seminars, visiting the Risen Scepter churches in their country, and being a unifying factor for the cohesiveness of the ministry they need the provision that only you can provide. 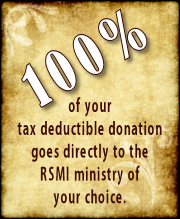 RSMI has chosen to send 100% of your donation to the field. Therefore we are trusting the Lord for the provision for our Lead Pastors that the ministry might go forward. 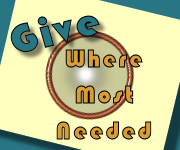 What are some of the things that your donation is used for? Won’t You Help Provide for a National Lead Pastor? With your generous gift of 34.00 dollars a month we are able to supply in part what a pastor needs to continue. Support an RSMI National Lead Pastor on a monthly basis, or give a onetime gift today.